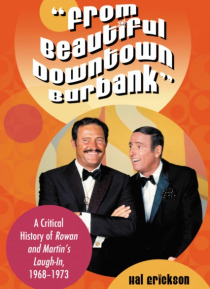 Rowan and Martin's Laugh-In was one of the most unusual programs on television, defying definition as simply comedy, variety, or burlesque. The show had audiences laughing for six seasons and continues to make appearances in revivals, reunions, and salutes. This critical history of Laugh-In includes background details on the creation and creators, as well as information on lookalike shows. An… appendix contains a complete program history with principal production credits and episode guides.